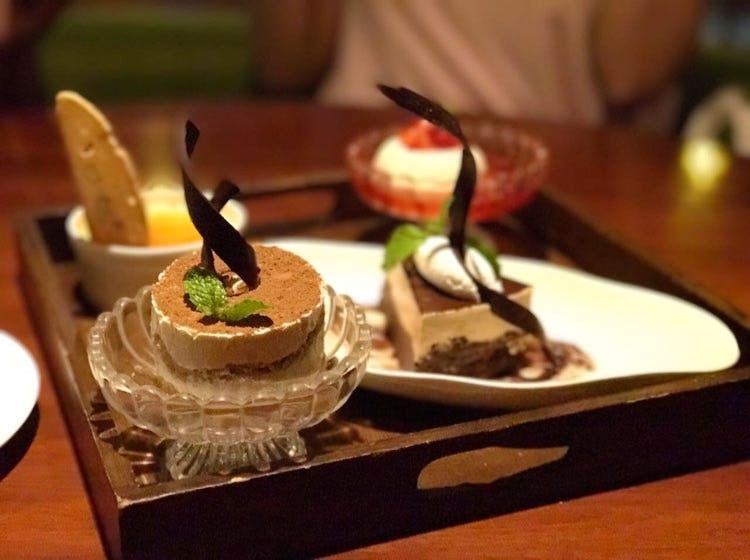 Desserts are simply bae and Cafe Mezzuna on Elgin Road serves four desserts in their special dessert platter which has all the sweetness you could ask for. The platter includes Bailey's mousse cake, vanilla bean pannacotta, tiramisu and creme brulee - there's something for everyone. Perfect for sharing and when you can't decide on what to order. The music is very loud here and can easily interrupt a conversation. The portions are huge so don't over-order. The LIITs are lite; as is the Carbonara. Also, there are a lot of options for vegetarians as well.